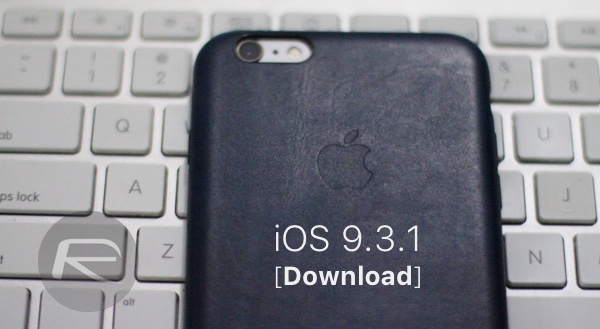 As expected, Apple has released iOS 9.3.1 download links for iPhone, iPad, and iPod touch owners. 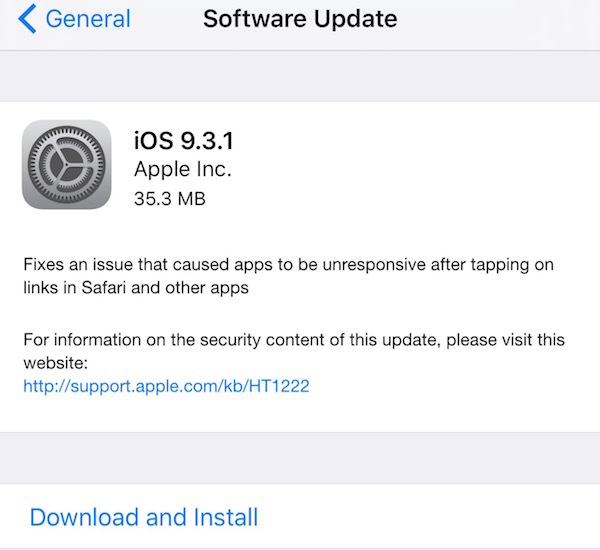 The roll-out of iOS 9.3.1 has only been on the cards for a relatively short period of time, and piggybacks on the initial public release of iOS 9.3 that was released during Apple’s recent “Let us loop you in” event. Rather than introducing any type of new user-facing functionality, this update aims to fix a recently discovered bug that centres around a universal linking bug. Registered developers and those enrolled on Apple’s Public Beta testing program had previously spent a number of months going through the process of throughly testing pre-release version of iOS 9.3 in order to get it ready for public release. After going live last week, it was discovered that the firmware contained an issue pertaining to how universal links were handled when certain apps were installed on a host device. This bug would cause the installed iOS device to crash or just hang when links were tapped through Mobile Safari and some other apps. After initially acknowledging the issue and informing users that it would released a software update, Apple has now made that update available with an embedded fix for the aforementioned universal linking problem. Giving the immediate problems that some users around the globe experienced with iOS 9.3, Apple has had to act extremely quickly to ensure that a fix for this particular issue was integrated into iOS and issued to the public as soon as was humanely possible. Rather than taking the opportunity to put any new features or functionality in, this release is purely about fixing those bugs and issues that are widely known within the public domain. Fixes an issue that caused apps to be unresponsive after tapping on links in Safari and other apps. Those with a compatible iOS device can grab the update right now from the Software Update mechanism on the device, or alternatively can grab the iTunes-restorable IPSW file for the specific hardware from the links below. That issue has driven me CRAZY. Glad to see Apple issue a fix. they kept on giving new updates but there are still issues with bluetooth connections. really need a fix on that.